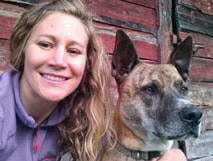 Hi, my name is Brittany Goerges and I am an animal-lover who grew up in the Brainerd Lakes area. My husband and I currently reside on a hobby farm in rural Jenkins, where in addition to a large garden we have a variety of egg-laying chickens, two pygmy goats that act as their guardians, a handsome shelter mutt, three sleepy cats and an ultra-soft bunny. We also have a five-year-old daughter, Sanibel, and two-year-old twin boys, Jack and Eli. Sanibel could spend all day in the cat rooms at HART. Jack and Eli have mastered our number one rule be kind to animals but are still working on being kind to each other. 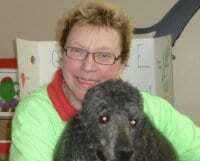 I began work at HART as a kennel attendant in 2008, and later became shelter manager. 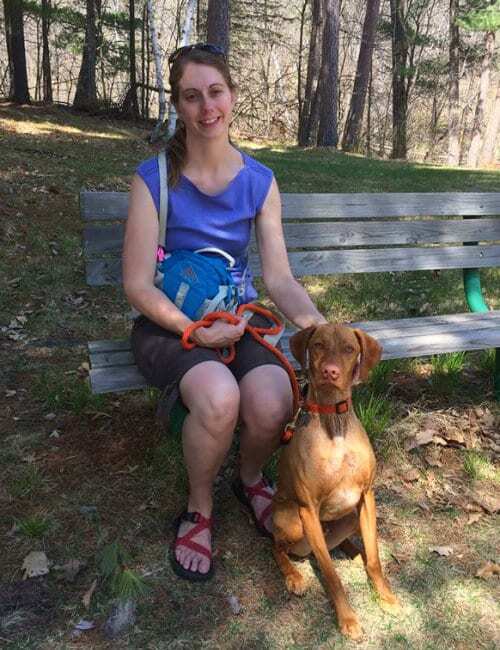 After leaving the shelter to start a family, the progression to board member seemed a natural one. I wasn’t ready to be done helping animals in need and thought my insight into the everyday workings of the shelter would be valuable. I am currently beginning my third term on the board and was elected board President. My time spent serving HART is very fulfilling, whether it is brainstorming fundraisers, fostering a mother cat and kittens, or attending meetings. I am proud to work with HART’s fantastic staff and excellent board directors to continue to make this important asset to the community the best it can be. My name is Fran Rodahl. My husband Orris and my two boxers Kane and Maci, live in East Gull Lake. I am a retired Early Childhood teacher but still pursuing my experience and skills through teaching the Young at Hart classes. I'm seeking my fourth term as Board Director and this year I am the Vice-President. I'm delighted to serve on the board at the time we planned for and finished our renovation it's has been an exciting Journey. For the last ten years I have been an active volunteer at HART. My background as an experienced high school English teacher led Donna Wambeke, then HART's Volunteer Coordinator, to encourage me to create an education program for HART. Since then, with the help of a dedicated group of volunteers, I developed the Young at HART program, presentations for hosting youth community groups and birthday parties for children of our community. My canine partner, Chaz, and I especially love visiting schools from Headstart programs through high school classes to discuss HART’s work as well as a variety of animal related topics. It was only a short step up from Volunteer Director of Education, a position I am very proud to hold, to the HART Board of Directors. 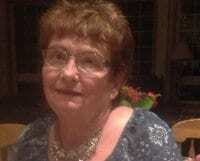 I have served on the Board for several years, first as vice-president, president and currently as secretary/treasurer. On a personal note my sister, JoAnne, and I moved permanently to the Brainerd Lakes Area in 2005 after retiring. We enjoy our volunteer work at HART and especially the furry kids we have adopted. I also love to garden, read and entertain friends from the cities, who enjoy the beauty of the Brainerd Lakes Area. My goals are to continue enhancing our premiere shelter education program, to assist with special events and develop fundraising initiatives to reduce the mortgage on our beautiful shelter. 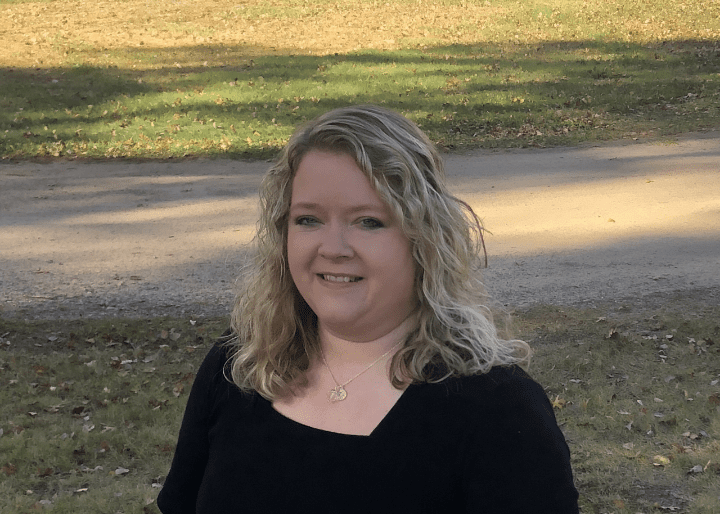 My name is Melissa Lundeen and I have been a part of the Brainerd community for five years. My husband Ben and I moved here from Texas when he was offered a position at the MN Pollution Control Agency and I was lucky enough to become apart of the teaching staff at Discovery Woods Montessori School. Teaching has been my passion for the past 10 years and so when I found out that HART offers educational opportunities for kids through their ‘Young at HART’ program I was excited to start volunteering! 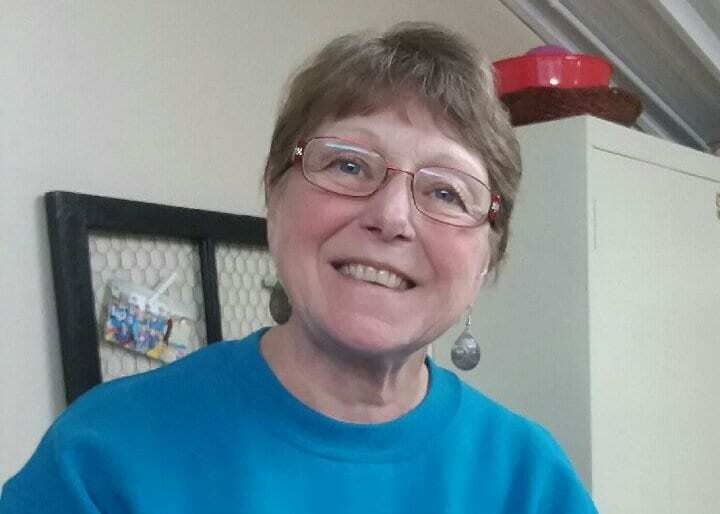 Working with Jan, Fran, Jo Ann, and all the students is really fun and I was honored when Jan mentioned they were looking for new board members and thought I should apply. It is rewarding to contribute my time to such a great organization that helps so many deserving animals find love with their new families. Ben and I have two dogs (Marley and Cookies pictured) and two cats (hiding from the camera) that we rescued from a variety of places while we were living in Texas and we are excited to be welcoming our first human child in January! Hello! I am a science and environmental educator and have lived in the Brainerd area for almost eight years. 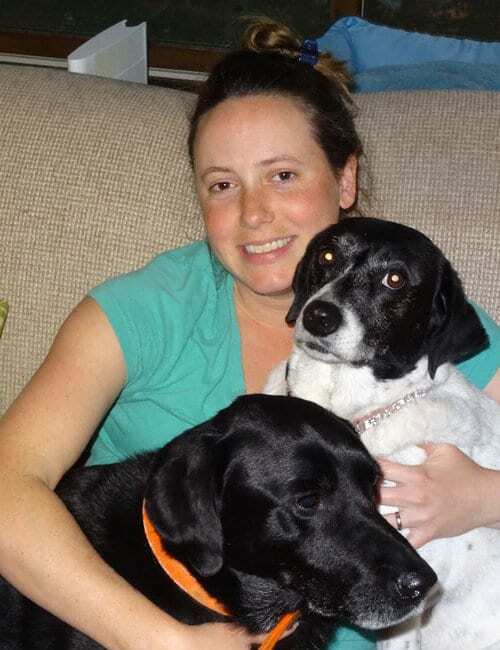 I am married with two children, along with a very loving and energetic two year old Vizsla. I am excited to have joined the H.A.R.T. Board of Directors. Having had a love of animals my whole life, I am glad to be part of such a great organization. I have volunteered at the shelter walking dogs, and with the annual Hoofin’ it for H.A.R.T. walk. I grew up in a family with pets in our home and have always been a dog owner of various breeds. I strongly believe that our dogs are members of our family. My husband and I even chose our yellow lab/golden mix to be our flower girl in our wedding, so I am more than happy to support H.A.R.T. in helping pets find loving homes. I have always lived in the Brainerd lakes area. I have two children ages sixteen and twenty-one. I am currently a fulltime student at CLC obtaining my A.A.S. in Special Education. I have always had a love for animals. My boyfriend and I combine households and we currently have five cats under one roof. Love every single one of them. I look forward to my weekly visit to HART to walk the dogs. It makes me feel so happy to see the animals find their forever homes. I was born and raised in Hutchinson, MN. on a farm on a lake, so my love of animals goes back to my childhood. Went to St. Anastasia Parochial elementary school, and graduated from Hutchinson High School. Went to Mankato State College for one year, and then went to Hennepin County School of Radiologic Technology, Minneapolis, MN. Worked for 6 mo. in Spokane, WA, then moved to the Twin Cities and worked at Fairview Southdale Hosp. for 2 yrs. before moving to Brainerd when I was offered a job here and have basically have been here since 1977. I did move in 1991 to the Denver area, and moved back in 1995. I have done some traveling, Australia, Europe, Alaska, Mexico, and some of the states. I am a member of St. Francis Catholic Church, The Center, and of course H.A.R.T. I married my husband Michael in 2002 and was blessed with 2 wonderful step-sons, Chris, (Nashville, TN) and Nick, (St. Cloud, MN). I now volunteer my free time to The Center, HART, CLC plays and concerts, and with Stage North plays and anything else I can come up with or get asked to do.